The Delhi High Court today pronounced that the office of the Attorney General of India is a public authority under the Right to Information Act. The Court decided the same while hearing a writ petition filed by RTI Activist Mr. Subhash Chandra Agrawal, which was against the order passed by full bench of CIC wherein the Central Information Commission had held that the office of Attorney General was not a public authority under the RTI Act. The issue came up before the High Court as when the petitioner had approached the Attorney General’s office to seek information, the office declined to accept the application and informed the petitioner, “There is no CPIO in AG’s Office”. The petitioner then approached the CIC, which decided against him. 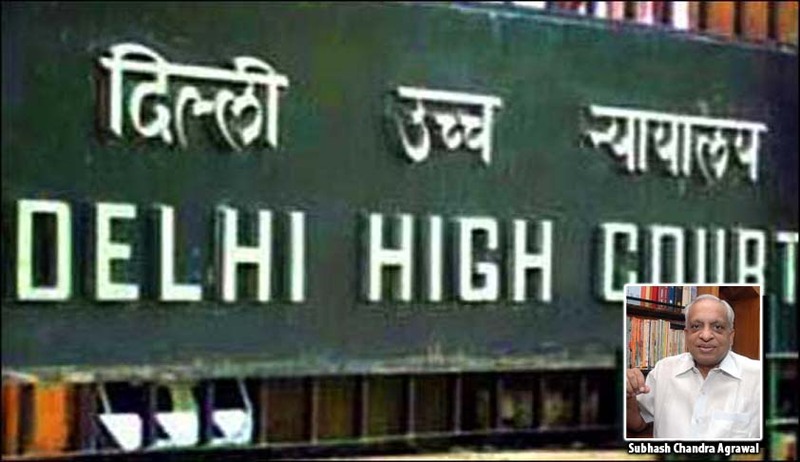 It was against the order passed by the CIC that Mr. Agrawal approached the Delhi High Court. The High Court then went through Article 76 of the Constitution that mandates for office of the Attorney General. The Court also perused made under Article 309 of the Constitution that are applicable to Law Officers. Accordingly, the Court directed the office of the AGI to reconsider the application filed by Shri R.K. Jain, who was another petitioner in the matter. Reacting to the judgment, Mr. Subash Chandra Agrawal told, It is significant that most of the CIC-verdicts deciding certain bodies as public-authorities under RTI Act are challenged at High Courts and/or Supreme Court most of which are because of indirect funding through land-allotment, public-private-partnerships, multi-state-cooperative-societies (MSCS) etc. Lot of public-interest is involved in such bodies which require these to be transparent and accountable also because of massive irregularities, corruption, scams, scandals etc involved in such bodies. Union government in larger public interest should bring all such bodies under RTI Act through amendment in legislation. Several sectors like banking, telecommunication etc are dominated now-a-days by private sector victimising their consumers through wrong doings. It is time that in interest of consumers at large, private sector above some specified turn-over may also be brought under RTI Act. Since political parties which also happen to be law-makers are playing role of being law-breakers by continuously defying full-bench CIC-verdict dated 03.06.2013, all indirect government-funding like allotment of land and bungalows at highly subsidised rates, Income-tax-exemptions, free timings of All India Radio and Doordarshan, free voter-lists etc should be abolished. Our political parties are rich enough to afford all such facilities presently being unnecessarily provided by the government at cost of public-exchequer. Utilisation of all such government-resources and generation of extra revenue by stopping all such indirect government-funding to political parties will be used for national development and public welfare which is much more important than providing facilities to self-affording political parties. You may read more of our coverage regarding efforts of Mr. Subhash Chandra Agrawal regarding Right to Information here.